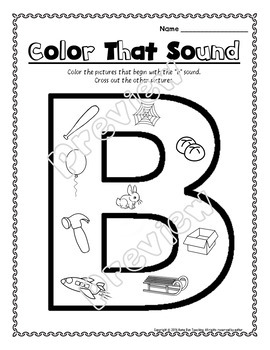 This Alphabet Letter of the Week Bundle is a no prep packet with a variety of activities and worksheets for the letter of the week letters A-Z.Each letter includes:1. Several handwriting pages2. 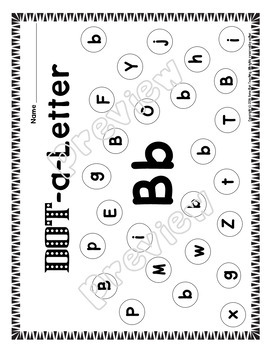 Dot a Letter-use a dobber or color in the circles containing the letter of the week3. Where's the Letter? 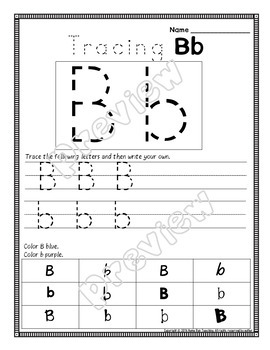 This is a no prep packet with a variety of activities and worksheets for the letter B. 11. Letter of the week craft-cut the letter and items and glue the items on the letter. 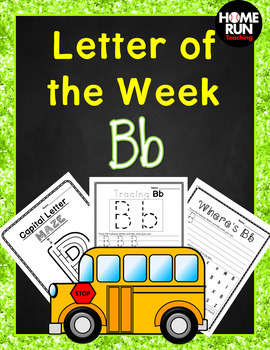 $$$ Be sure to save money by buying the Letter of the Week Bundle. If you want to earn TPT point towards free products be sure to rate this product after you buy it. For each dollar you spend, you earn 1 TPT point. Every 20 TPT points equals $1 toward any TPT product you want!